Kids are almost out of school for the summer, but some long days are ahead for Chicago Public Schools as it tries to close a more than $1 billion budget deficit, most of which is tied to a $700 million pension payment that is due. On top of that, district officials are negotiating with the Chicago Teachers Union over a new teacher contract. 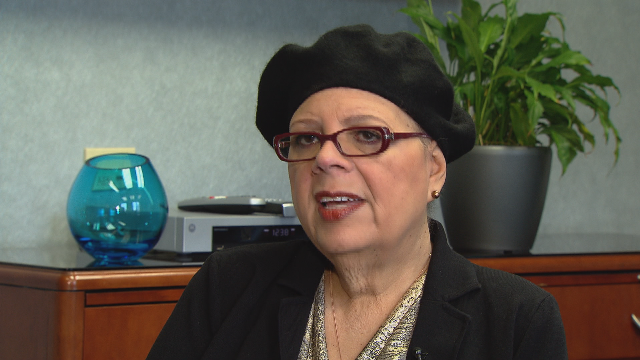 We talk with CTU President Karen Lewis about how negotiations are going in light of the district’s financial challenges, the possibility of another teachers strike, and who she would like to see lead the school district. Shortly after the runoff election last month, Chicago Public Schools confirmed it’s under federal investigation, which focuses on a $20 million no-bid contract awarded to a training academy that previously employed CPS CEO Barbara Byrd-Bennett. In 2013, SUPES Academy was awarded a three-year contract to provide leadership training to school principals. Catalyst Chicago first reported the approval of the district’s largest no-bid contract in the last five years and Byrd-Bennett’s connection to SUPES Academy in July 2013. In April 2012, Byrd-Bennett was brought to CPS as the chief education adviser to then-CEO Jean-Claude Brizard. That October, Mayor Rahm Emanuel appointed Byrd-Bennett to replace Brizard as CEO. Days after news broke about Byrd-Bennett’s connection to SUPES Acamdey, she wrote a letter to Chicago Board of Education President David Vitale saying that she’d be taking a leave of absence, beginning April 20. Board of Education Vice President Jesse Ruiz was tapped to serve as interim CEO. In March, the Chicago Teachers Union and CPS had the first formal meeting to negotiate a new contract, following months of informal meetings. The CTU issued a list of proposed demands, which included lower class sizes, return diverted revenues from the tax increment financing (TIF) program to the schools, and freeze charter school expansion, school closings and turnarounds. During the last negotiation, CTU President Karen Lewis led members on an eight-day strike. At the beginning of May, CPS slashed its proposed capital budget for fiscal year 2016, citing the district’s $1.1 billion deficit. CPS Interim CEO Jesse Ruiz said the $160 million capital budget is a “bare minimum” plan. "This capital budget reflects difficult choices amid a dire fiscal reality," Ruiz said May 1. "Our financial limitations have forced us to shift the focus of our five-year capital plan from the balanced plans of previous years to more urgent structural and safety concerns for buildings that are, on average, more than 75 years old." Later that month, the CTU said the school district asked teachers to take a 7 percent cut in-take home pay by asking them to pay more into their pension fund. Lewis called the proposals “reactionary and retaliatory,” and the union vowed to fight back. The current contrace expires June 30. Earlier this week, the House approved a bill that allows parents to opt their children out of the standardized test, the Partnership for Assessment of Readiness for College Careers. The exam has been criticized by teachers, parents, and students.